Usage notes: The French expression dormir sur ses deux oreilles offers some great mental images: a head sandwiched between bed and pillow, a mattress curled up so that it’s pressing against both ears, maybe even an abnormal head with ears reaching for the bed. 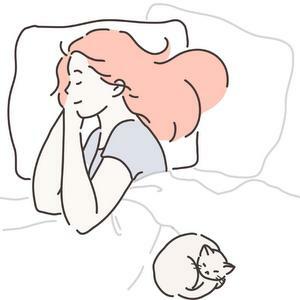 However you look at it, dormir sur ses deux oreilles can be used literally or figuratively to indicate that one is sleeping soundly, with nothing to worry about and no inherent danger. Je prends une tisane le soir, et je dors toujours sur mes deux oreilles. I have herbal tea in the evening, and always sleep like a baby. Il n’y a aucun danger – elle peut dormir sur ses deux oreilles. There’s no danger – she can rest easy. 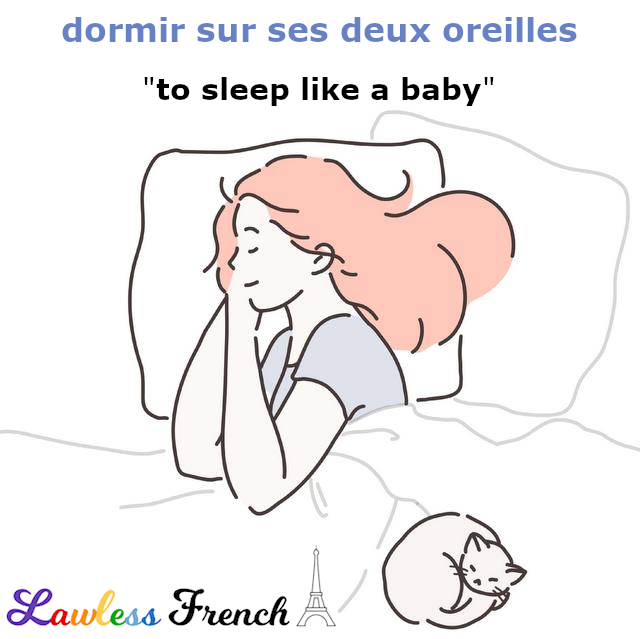 dormir à poings fermés – literally, "to sleep with hands fisted"
dormir comme un loir – "to sleep like a dormouse"
dormir comme une marmotte – "to sleep like a marmot"
dormir comme une souche – "to sleep like a (tree) stump"
dormir comme un sonneur – "to sleep like a bell ringer"
ne dormir que d’un œil – literally, "to sleep with one eye open"
passer une nuit blanche – "to spend a white night"